Once you’ve started blogging, one of the important things that should be done is to get your blog indexed by Google. Keeping it in the simple way, whenever you start any new site, it is your utmost wish that people see it and visit it regularly. It is only possible when they search it through their browsers. But it is never done before Google adds it to its database so that it may appear in the search results. This is known as indexing your blog. Bloggers throughout the world are facing problems in getting their blog indexed because Google may take ample time before doing it. So here are some golden tips how you can get your blog indexed by Google as soon as possible. 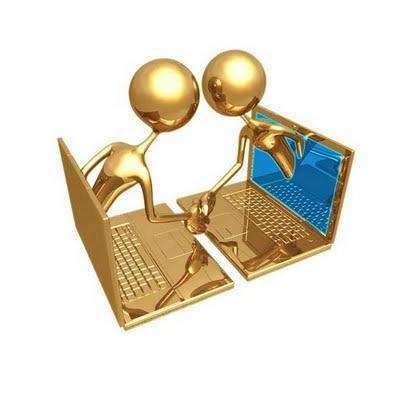 Registering yourself on different social media help in rapid indexing. The catch is that you keep the username of these sites same as the URL of your blog. E.g. if your site name is freakify.com then you may make your Facebook fan page with the same name i.e. Freakify.com. These target keywords will help your blog to be indexed quickly. Plus in this way an automatic publicity will also be done for your site. Even if you don’t bear the same name, even then you can share links of your site on all your existing profiles on different social sites. If you create a sitemap of your website then indexing become quite easier. On your website server there is an XML document which list down every page of your website. 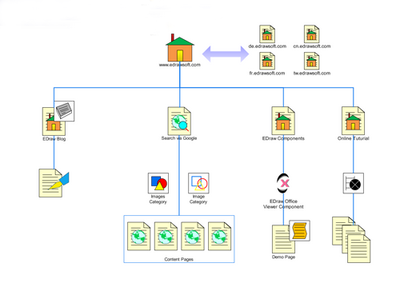 This is called the sitemap. Now what happens is that when you add new pages to your website it tell it to the search engines and which automatically updates your sitemap. Once your sitemap is ready, the next major step is to first take down your site to Google Webmaster Tools. 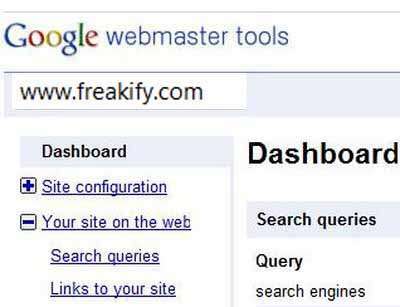 All you have to do is to sign up for Webmaster Tools from your Google account and add your new website there. Then through Optimization and add your new website’s sitemap’s link to notify Google about it. Once you’ve started posting content on your blog, then regular commenting will help in fast indexing. 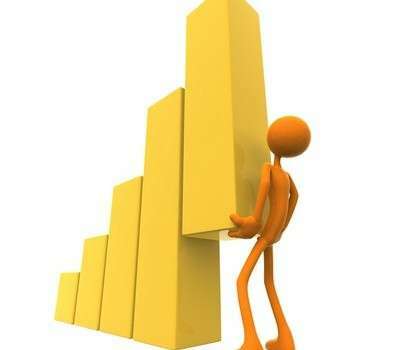 Commenting on websites with a high PR is beneficial because it will provide you some useful backlinks. 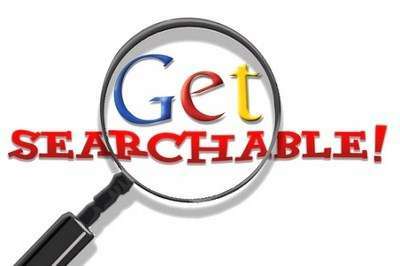 This help in registering your site to Google. FeedAdage, OctoFinder and Feed-Squirrel are some places where you can post your blog feeds. These sites will keep a record of all your newly published posts and will index them in their sites. Now whoever will open your blog link will automatically be redirected to your original blog. This will help in generating extra traffic plus gets your new posts indexed by Google. 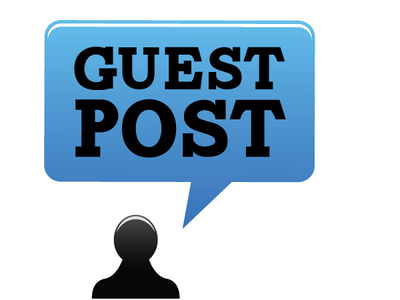 If you want to rise up as a successful blogger then you must possess the consistency in posting. You should be quite regular in publishing new quality content. This not only drives traffic but helps crawler to set your indexing and crawling time. Whenever you’ll post new content crawler will update itself and index your posts quickly. By login to your Google account you can easily submit your website’s URL there in just a few minutes. Many people discourage this way of doing it because according to them you can do it a number of ways. As it is not doing any harm to you any is indeed helping you in quick indexing so I will definitely suggest trying it this way. You can also submit your URLs to other search engines as well like Bing, Yahoo and get yourself registered there. There are numerous blog communities which bear a fantastic Google Ranking. These include all the top blogs worldwide. So if you register yourself in any of these prominent blog communities then Google will have no other choice other than to index your blog. This way of indexing is quite clever and quick. You just need to add your link of your blog to these communities and your job is done. 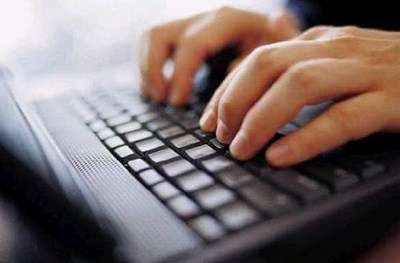 Recently an exciting new blogging service is introduced which is entirely free and helps in quick indexing for your site. This is the Tumbler Blog. Through this you can just index your post in a few likes and reblogs. You just have to go to the Customization Page of your newly created Tumbler Blog. 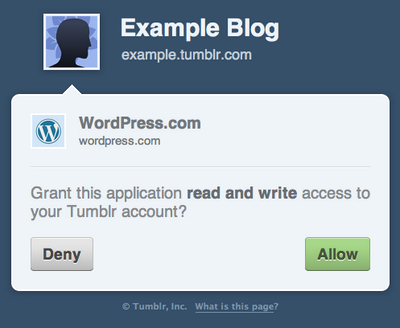 There redirect it to your new post and start liking and reblogging it on other’s blog. Quick indexing require quick link building of your site and it can also be done through writing some offsite content like guest posts for different blogs, articles of different kind and services to those who offer SEO optimization and distribution. There are sites which have a high Google rank, will create a page for your site if you join them and want to know the worth of your site. This will also get your site indexed by Google simultaneously. 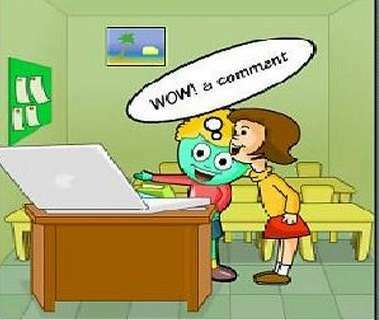 Plus there are certain community websites that allow people to make pages on various topics. Squidoo is one such community, so if you make a page that coincides with the topic of your blog then you may include your blog feed in this page. 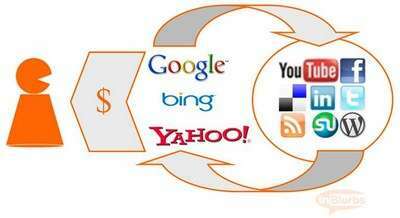 This will assure quick indexing of your blog to search engines. 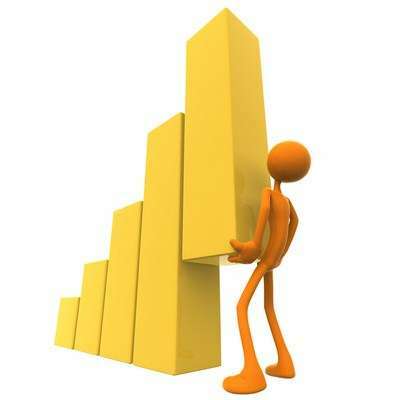 Once your blog gets indexed you start getting traffic. But one should keep indexing and traffic are two different things but go side by side, in the end what remains is your content what you are offering. For me the quickest and simplest way to get your content indexed is sharing its link on all social sites. Plus your blog content gets indexed quickly than your pages. So try having a blog which runs for your website.